This Personalised Monogram Charcuterie Board is the perfect board for serving up to guests on the weekend, or even a cheeky mid-week snack for two! 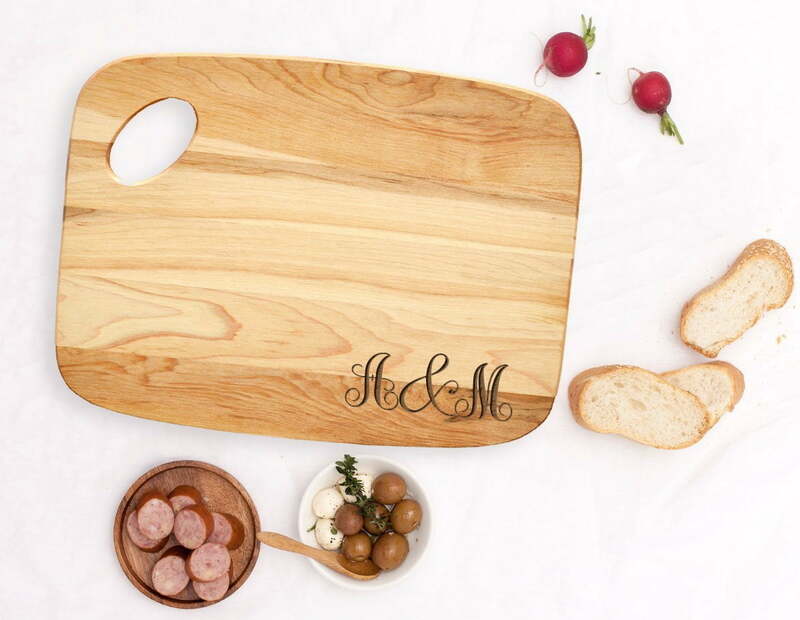 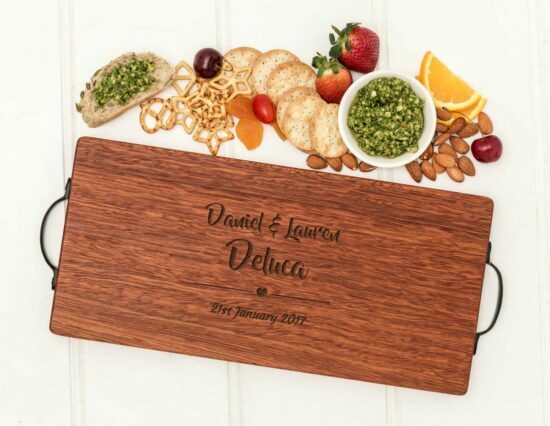 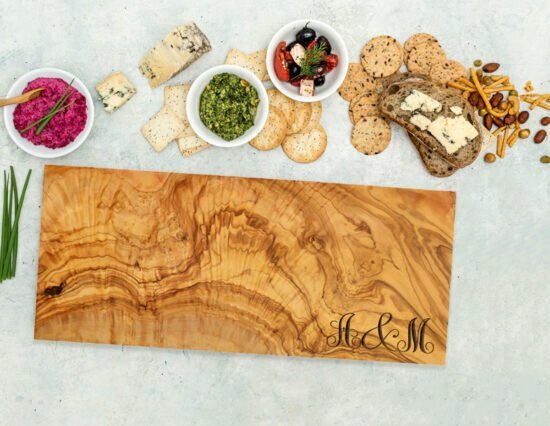 Perfect for many different occasions, such as birthdays or Christmas, this cheeseboard can be engraved with initials, or you can even supplement the middle initial with an ‘&’ symbol for a special wedding or engagement gift (i.e. 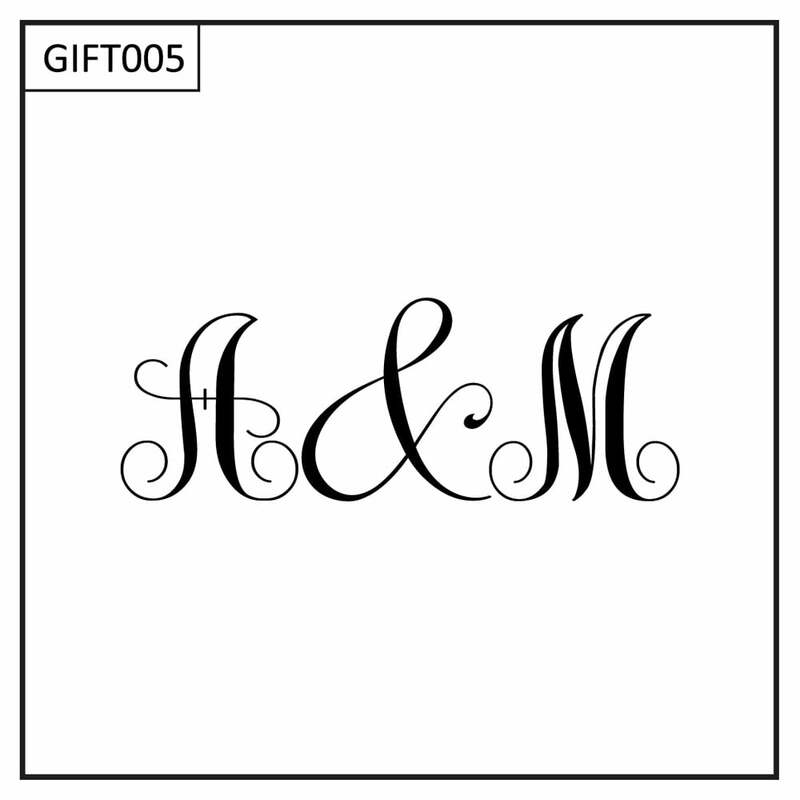 L&R). 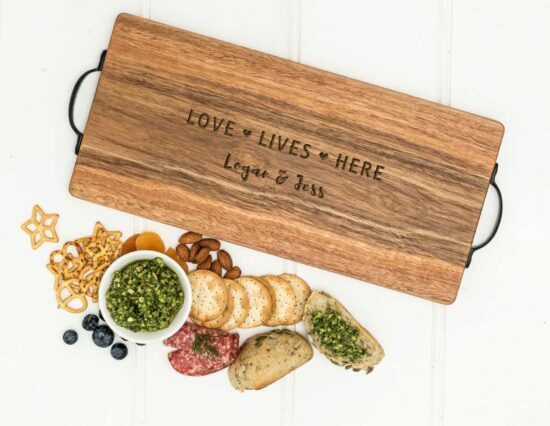 To personalise this charcuterie board, simply use the fields located above. 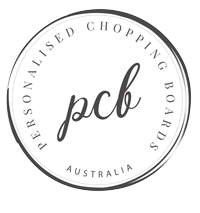 We are happy to make design changes at no additional charge, simply contact us with any changes you might like!